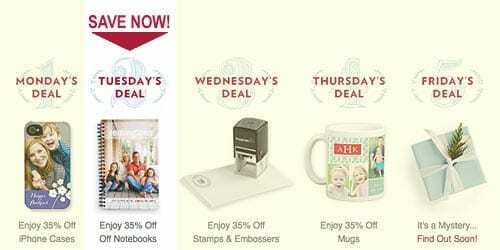 Check out today’s TinyPrints Deal of the Day and stay tuned for more cyber savings all week long! Today only, use Tiny Prints Promo Code CYBER1127 for 35% Off all custom and personalized notebooks! Stay tuned for more big savings all week on a lots of gifts you can personalize with your own photos.